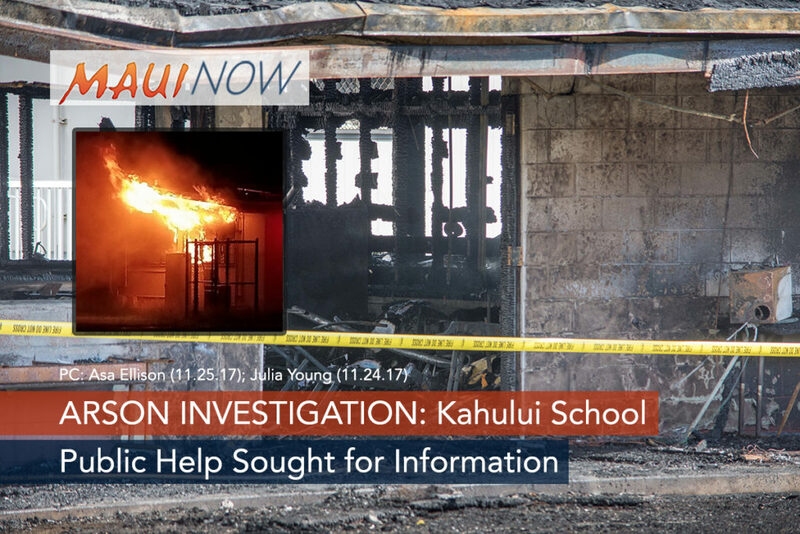 The Maui Police Department is asking the public for any information about the arson that occurred at Kahului Elementary School on Friday, Nov. 24, 2017. 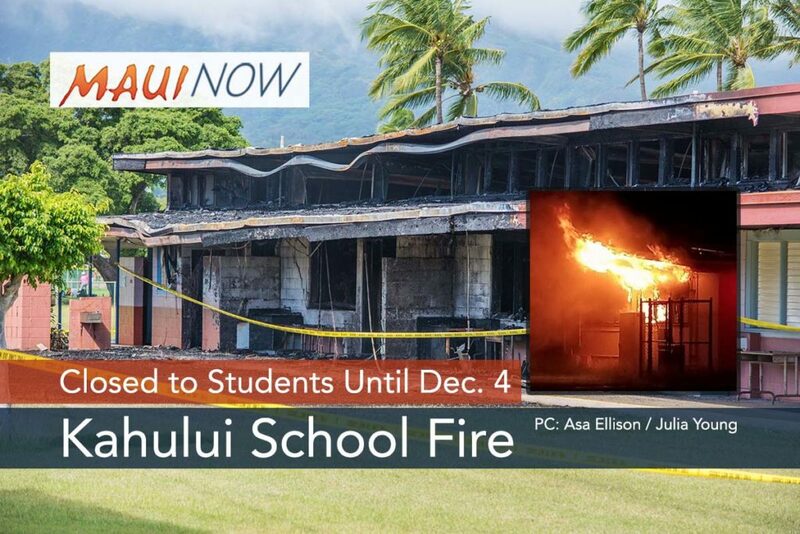 The fire destroyed and damaged several classrooms and it’s contents and caused the closure of the school for a week. 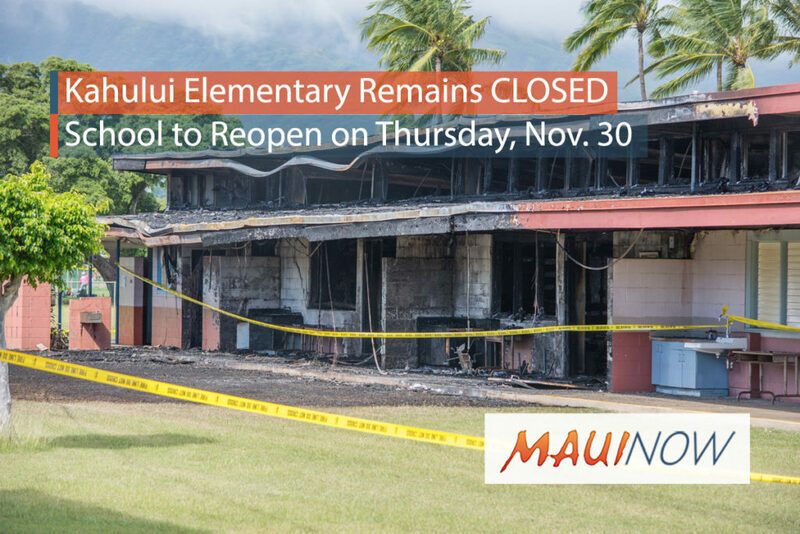 Kahului Elementary School will remain closed for all students through this week and reopen on Monday, Dec. 4. Staff will be reporting as normal as the school continues work to ensure the campus is safe for students. 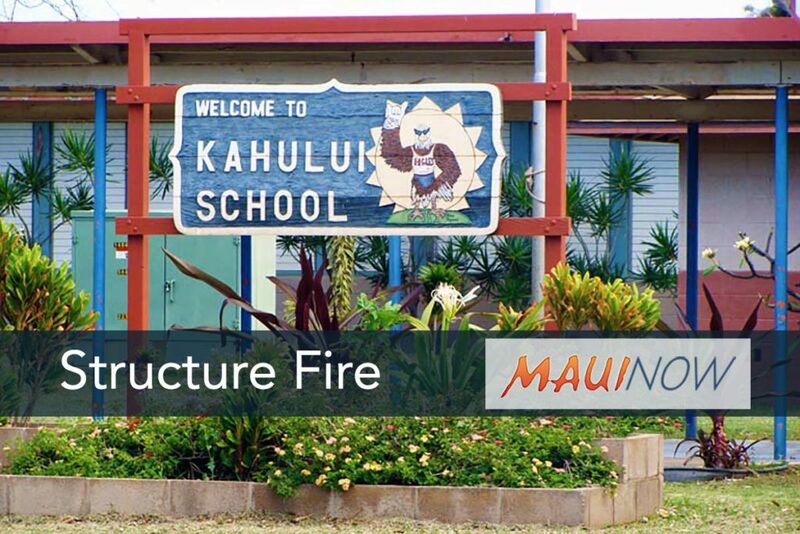 Kahului Elementary School is located in the Central Maui area and serves more than 960 students from preschool through grade 5. The damaged classrooms housed second-, third- and fourth-grade students. 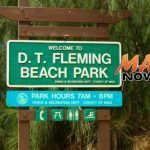 Seven companies and a Battalion Chief from the Maui Fire Department responded to the fire, which was reported at 9:30 p.m. on Friday, Nov. 24, and extinguished at around 12:50 a.m. on Saturday, Nov. 25, 2017. Anyone with information is asked to call Detecive Christopher Schmitt at (808) 244-6454 or the Police Department’s mainline at (808) 244-6400. Those wishing to remain anonymous may call Maui Crime Stoppers at (808) 242-6966. Maui Crime Stoppers will pay cash rewards up to $1,000 for information leading to the arrest and indictment of those responsible for felony crimes.